Available in 4 sizes, 130mm, 150mm, 180mm and 210mm high. 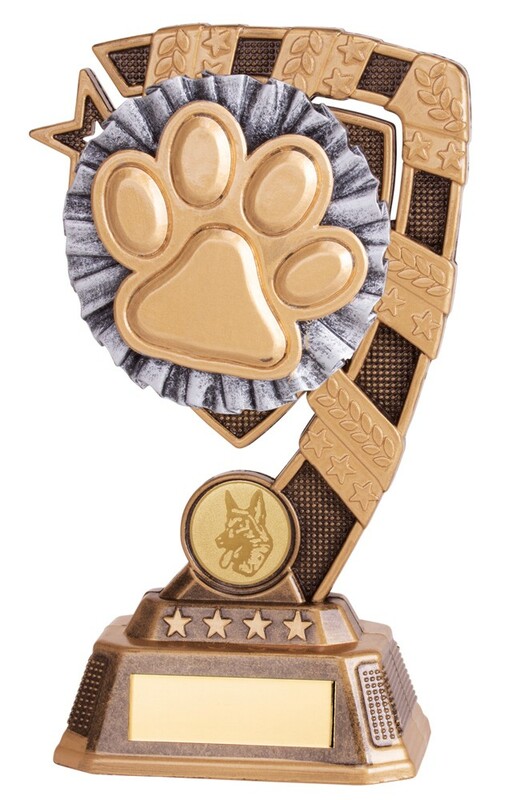 Bronze and silver with gold highlight and a gold paw print. 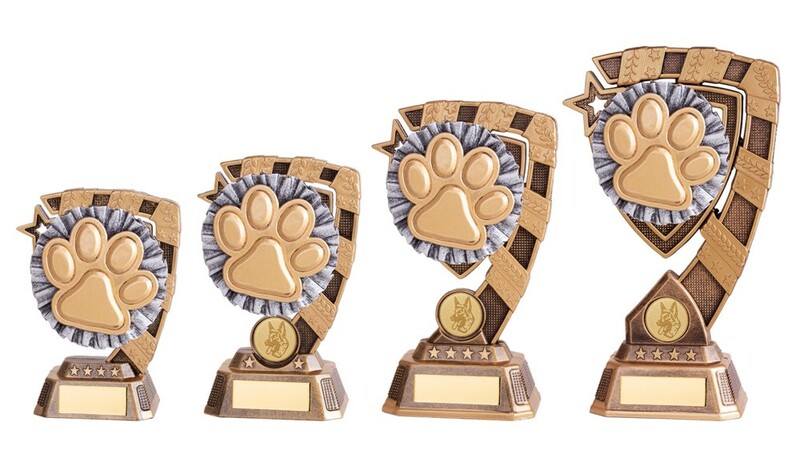 A perfect trophy for a dog agility presentation or to award the cutest pet!